There it is. Finally, after weeks of being in the rumor mill, the new Samsung Galaxy M series phones get a launch date. It will debut in India first. However, rumors say it will be released in Africa, the Middle East, and other parts of Asia, too. It will be exclusively available online in India, on Samsung’s e-shop and on Amazon. But we doubt it’s going to be the same in the Philippines, if it does arrive here. Offline is still king in the country — the reason brands like Realme and Honor are focused on strengthening their offline presence here. What do we know about the Samsung Galaxy M series? 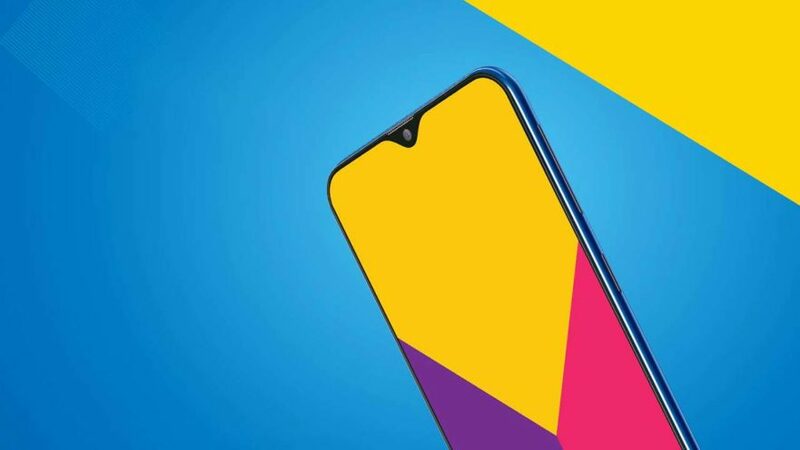 The first models lined up for the launch are said to be the Samsung Galaxy M30, M20, and M10. The Korean technology giant has already revealed the things to expect from the series: Infinity-V display (or what others call a waterdrop screen), ultra-wide camera, big battery, and USB Type-C port for fast charging. A leaked manual — believed to be of the Galaxy M20 — details the smartphone. You can see how it looks and what comes with it in the images below. If it’s indeed the Samsung Galaxy M20, then the device features a 6.3-inch LCD screen with 2,340 x 1,080 resolution, 409ppi pixel density, and 19.5:9 aspect ratio. It runs Android 8.1 Oreo and boasts a 5,000mAh battery and 13- and 5-megapixel cameras on the back. Underneath its hood is an Exynos 7885 processor — same as the one inside the Galaxy A8 and A8+ — paired with 3GB of RAM and either 32GB or 64GB of storage. The Samsung Galaxy M10, on the other hand, is said to come with an Exynos 7870 processor, 3GB of RAM and 32GB of internal storage, Android 8.1 Oreo, a 6-inch display, and a 3,500mAh battery. It’s expected to get a price tag of less than ₹10,000 (less than P7,340 or $141). The Galaxy J6, which has the same chip, memory configuration, and Android version, retailed at P13,990 ($268) at launch. 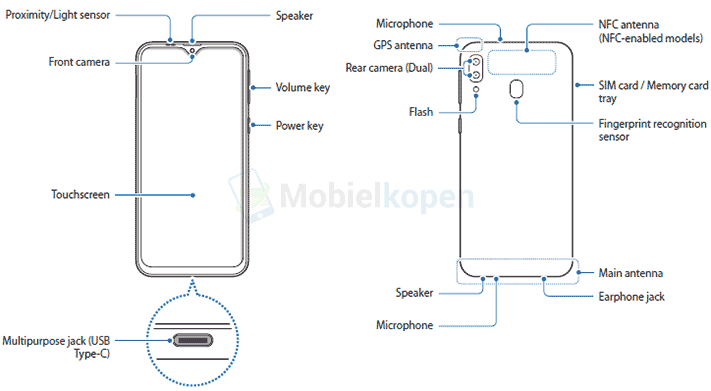 The Samsung Galaxy M30, supposedly the highest-specced of the three, shares many features with the M20, but it could have three rear cameras.